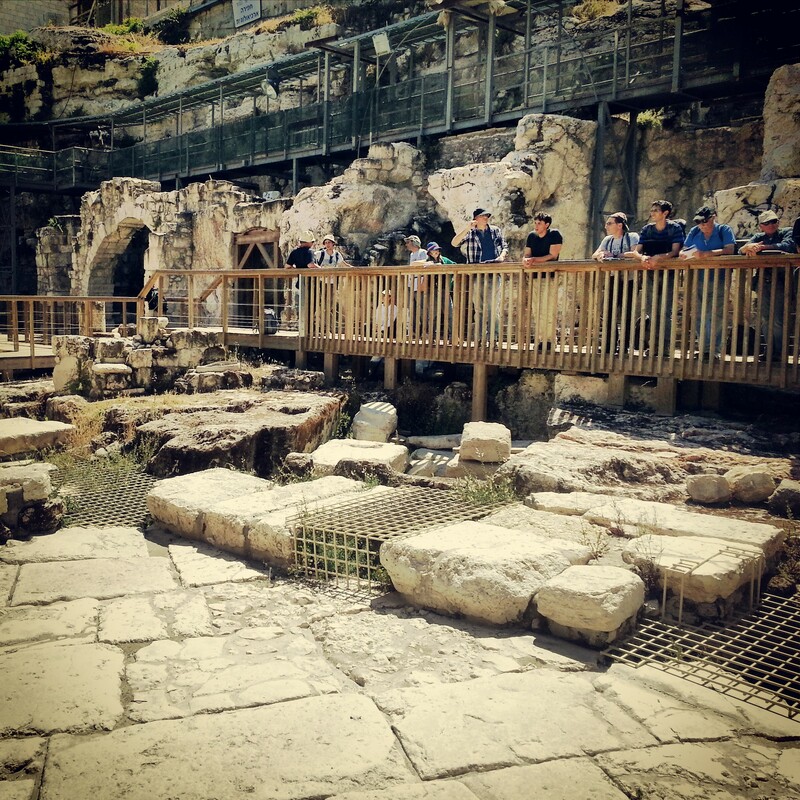 We have a whole day dedicated to Jerusalem in the First Temple period, and a whole day dedicated to Jerusalem in the Second Temple Period, but it’s still not enough time to cover the vast amount of material, so this week’s trip was about filling in some of the gaps. We began in Binyanei Hauma, also known as Jerusalem International Conventions Center. This venue more normally hosts concerts and conferences than tour groups; I was somewhat surprised then when we entered and stopped in front of a display case showing artefacts from the Roman period, which I had never noticed previously. It turns out there was a big camp here for the 10th Legion of the Roman Army, we then headed downstairs and saw the remains of a kiln; it seems that it was quite a big centre for the manufacture of clay pots, roof tiles, bricks etc, all with the 10th Legion’s imprint. There was even an imprint of a sandal in one of the cases, a reminder of a sloppy soldier around 2000 years ago. I will be back in the Convention Center next month for the President’s Conference and will look forward to sharing my knowledge with the other delegates! 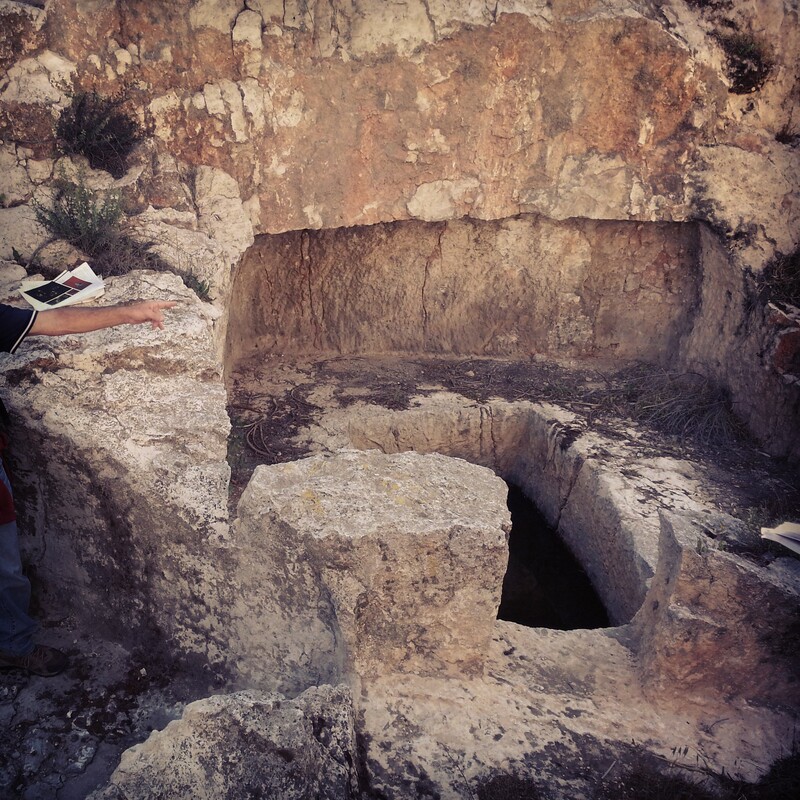 We continued to David’s Tomb on Mount Zion. Here we discussed the history of the site and why it is considered to be the location of the tomb of King David (and also why some argue it is elsewhere). 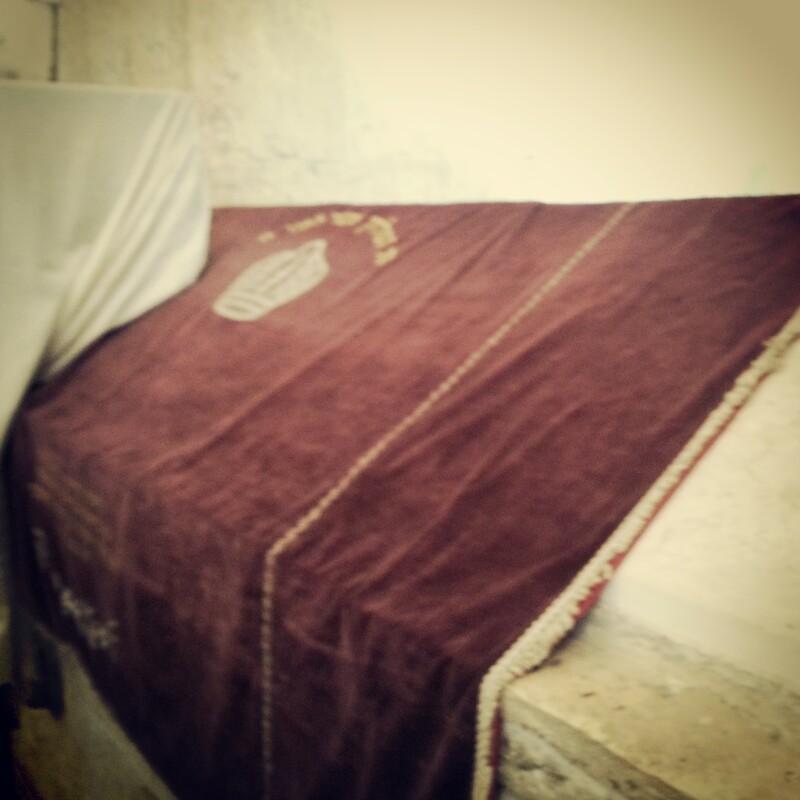 The site also houses the room which is considered to be the location of the Last Supper, but we shall return to visit that on our trip to Christian Jerusalem later in the course. We moved on by foot into the Old City to the Western Wall Tunnels. The famous image of the Western Wall that is exposed above ground is actually only a small section of the wall’s full length and height. Through the tunnels it is possible to walk much further along the wall, to get a greater idea of the grandeur of the building that was – the Western Wall of today is only an outer foundation wall for the podium on which the temple was built. It was an incredible feat of engineering exemplified by the quite frankly massive stones that were involved in its construction. The largest that has been found is 14m long and the experts at the Technion have calculated its weight at 570 tonnes. And it is about half way up the wall, so they would have had to have lifted it there. There was a short and very illuminating film illustrating how they would have put these stones into place. 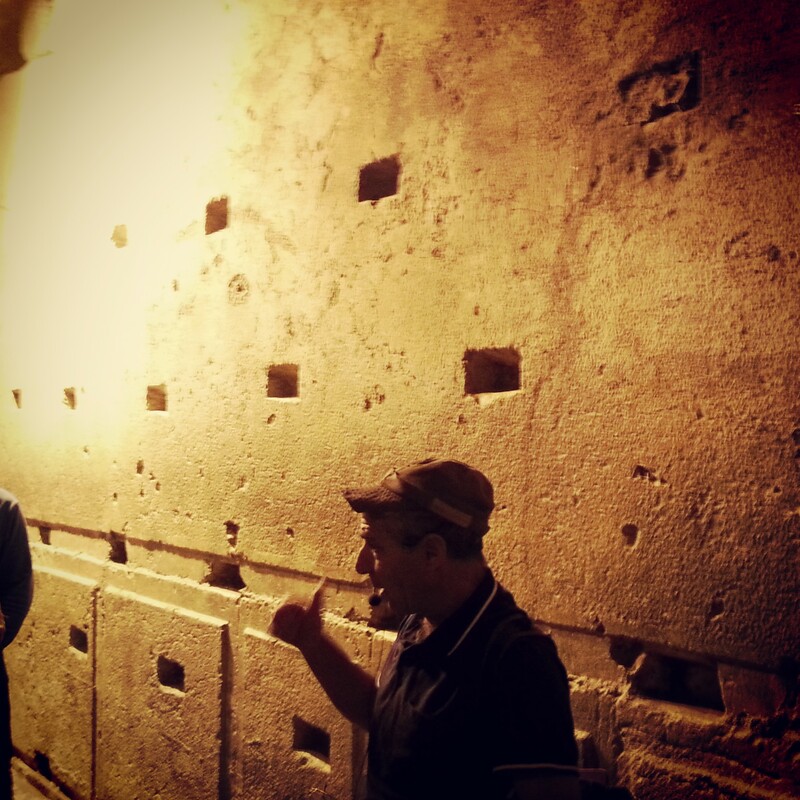 We continued down the tunnels, past the closest point to the Holy of Holies, walking along an original 2nd Temple period street and into a Hasmonean period water channel, before exiting into the Muslim Quarter. 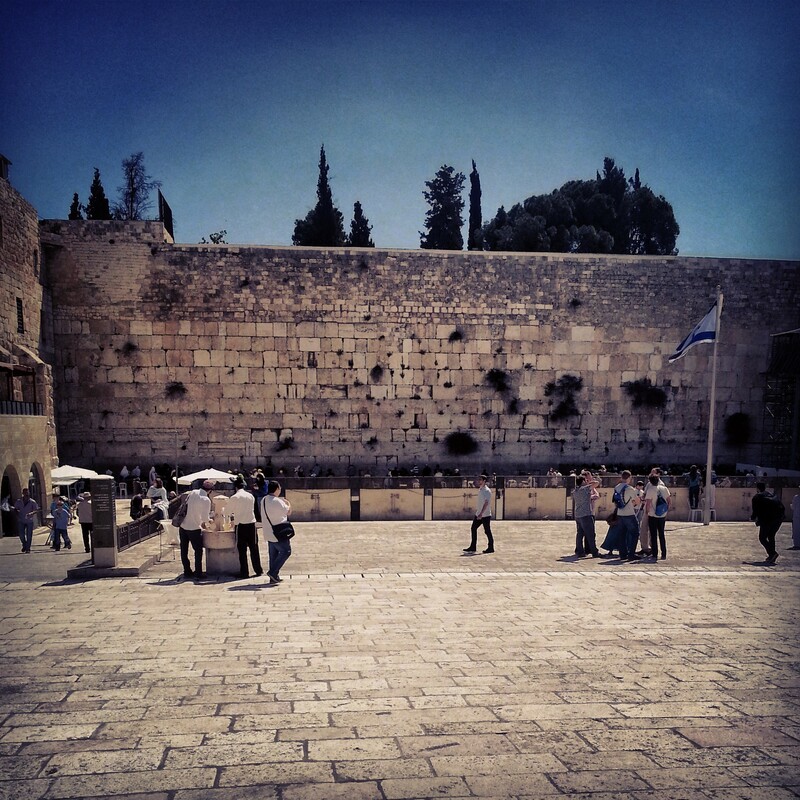 We returned to the Western Wall, known as the Kotel, where our guide told us about some of the legends associated with it explaining why it was not entirely destroyed like the rest of the temple. Afterwards, a small treat. Facing the Kotel are some archaeological excavations which are complete and ready for the public but for some reason not yet open to them. 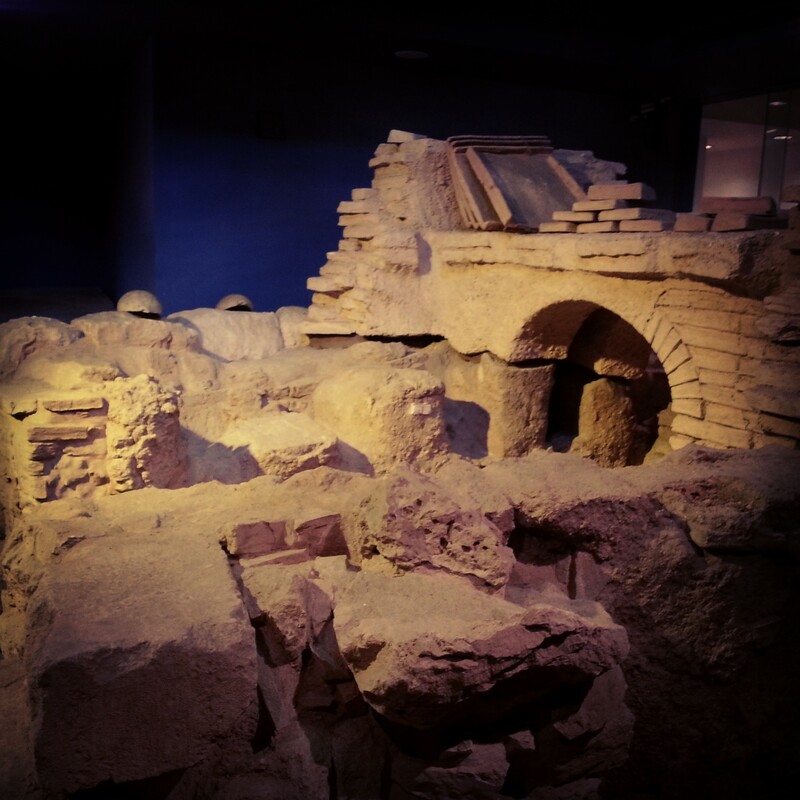 But somehow our guide had obtained a key and we went down to see what was the Eastern Cardo (a shopping street) in the 2nd Temple period and also the remains of a First Temple home. It was nice to get this advance preview (although the excavations are visible from above, you can see more up close). 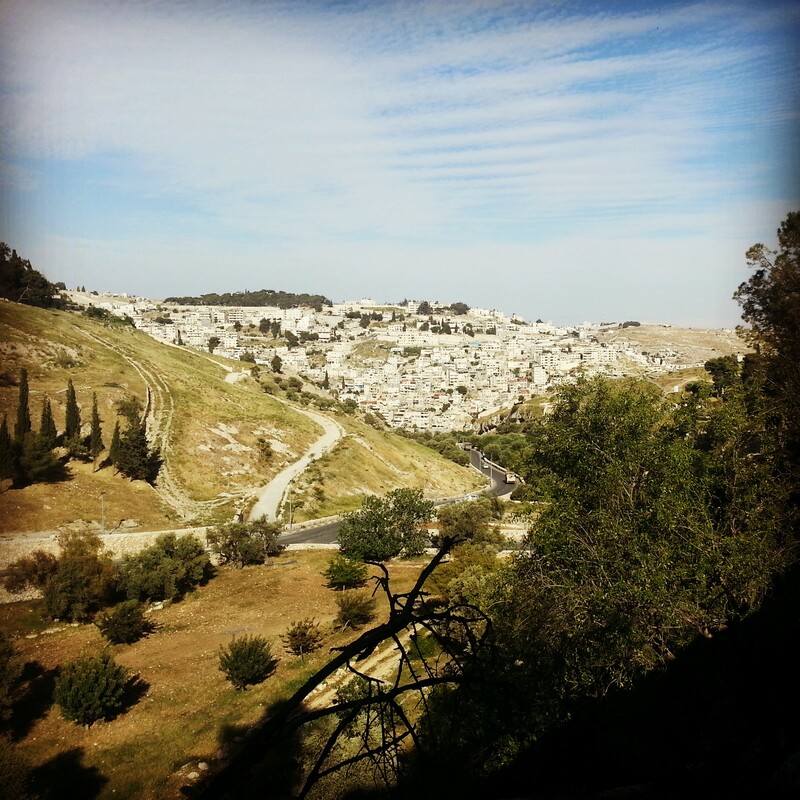 We then exited the Old City and walked down into Nachal Kidron, also known as the King’s Valley. 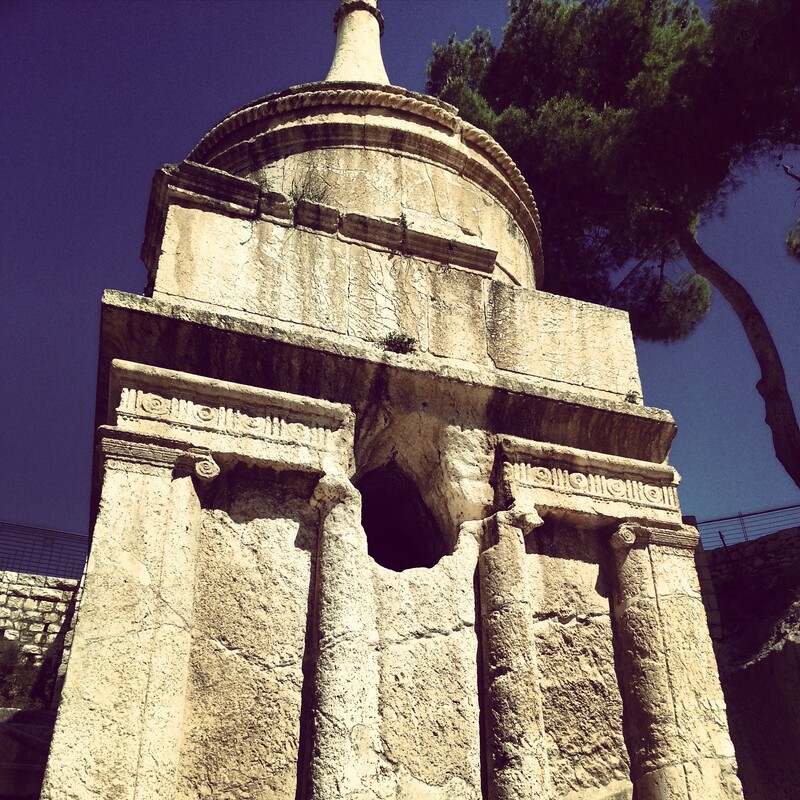 Here are three ancient and imposing mausolea, two of which are often attributed to Avshalom (King David’s son) and Zechariah respectively, but in fact they are from the Second Temple period, i.e. a very long time after these personages would have lived. The architecture is interesting due to the unusual mishmash of Doric and Ionic columns together in the same structure; you can tell we’ve been learning about classical architecture in class! Our next stop was at the Menachem Begin Center, located on Ketef Hinnom. I was wondering what Menachem Begin had to do with the ancient temples as we breezed through the centre, exiting out of the back, going up some stairs, and being confronted with a First Temple period burial site. As with the morning, it was fascinating to find this juxtaposition of ancient and modern at a venue which I had visited several times previously for various events, completely unaware of what lay just a few meters away. It was interesting to look at the excavated tombs and learn about the burial methods; even more fascinating was to learn that in one of the tombs excavators had unearthed some tiny rolls of silver. Written on them was the priestly blessing of the Cohanim, the oldest existing example of biblical text found outside the bible. The scrolls are now in the Israel Museum. We exited the Begin Center and walked down the nearby valley, referred to as Gei Ben Hinnom. Here we heard about the Judaean King Achaz’s worship of the god Moloch; part of the ritual involved sacrifice of first born baby sons and would have happened in this valley. Somewhat unsavoury stuff. We then branched off a bit from the ancient period, looking at the cable going from across our heads over to Mount Zion opposite us. In the 1948 war this was a secret way of getting supplies over to troops isolated in the mountain – a replica cable car was above our heads. As we wondered down further into the valley more surprises were in store – a Karaite cemetery where we paused to briefly learn about this religious group who only keep the laws of the first five books of the Bible without the later exegesis. We enjoyed the view down the valley leading to Nachal Kidron (whence we had come) and returned to our bus for the return home.